Under Decision 565/2014/EC of the European Parliament and the European Council of May 15, 2014 which said that Bulgaria, Croatia, Cyprus and Romania may consider their national visas as equivalent for transit through or intended stays on their territory not exceeding 90 days in any 180-day period. All types of visas and residence permits are affected irrespectively of the nationality of the holders, provided they are issued by the four countries, which are fully implementing the Schengen acquis. Holders of a Bulgarian visa can travel legally to Romania, Croatia and Cyprus for 90 days in any 180 days period without visa. The Bulgarian Type D visa is a long-term visa issued either for 6 or 12 months, and it is mandatory for all non-EU nationals who would like to apply for a Bulgarian residence permit. 1. Work permit Type D visa can be granted to foreigners who have a work permit subject to clearance by the Ministry of Labour and Social Policy. (Reference to Art. 24 (1) 1 of the Foreigners in the Republic of Bulgaria Act). The Republic of Bulgaria does not issue open work permits. You need to have a secured job position with a Bulgarian based employer. Work permits are issued by the Employment Agency at the Ministry of Labour and Social Policy. 2. Business Type D visa can be granted to foreigners involved in commercial activities inside the country and who, as part of these activities, have hired Bulgarian citizens. (Ref. to Art. 24 (1) 2 of the Foreigners in Bulgaria Act). Under this ground, the applicant has to incorporate a Bulgarian company (ET, OOD, EOOD etc.) and employ at least 10 local citizens. To apply for a Type D visa and renew the residence permit the foreigners need to keep the employment of the local citizens continuous. 3. Bulgarian Student Visa can be granted to foreigners admitted to licensed educational establishments for full-time education. (Ref. Art. 24, (1) 3 of the Foreigners in the Republic of Bulgaria Act). 4. Married to a Bulgarian citizen Type D visa can be granted to foreigners who have married a Bulgarian citizen/ or a foreigner residing permanently in the Republic of Bulgaria. (Ref. Art. 24 (1) 5 of the Foreigners in the Republic of Bulgaria Act). 5. Company representative Type D visa can be granted to foreigners representing a foreign commercial company registered with the Bulgarian Chamber of Commerce and Industry (Ref. Art. 24 (1) 6 of the Foreigners in the Republic of Bulgaria Act). This is subcategory of Business Type D visa which allows a foreign business person to obtain Bulgarian residence permit on business ground without employing ten local citizens as in the case of Companies and Business Type D visas. 6. Parents Foreigners Type D visa can be granted to financially independent parents of foreigners permanently residing in the country. (Ref. Art. 24 (1) 7 of the Foreigners in the Republic of Bulgaria Act). 7. Pensioner Type D visa can be granted to foreigners who receive a pension and have sufficient funds to cover their living costs in the country. (Ref. Art. 24 (1) 10 of the Foreigners in the Republic of Bulgaria Act). 8. Foreign Investor Type D visa can be granted to foreigners who perform activities under the Foreign Investments Act. (Ref. Art. 24 (1) 11 of the Foreigners in the Republic of Bulgaria Act). The Bulgarian Ministry of Finance issues certificate of an existing direct investment. 9. Member of Family Type D visa may be granted to foreigners who are members of the family of a foreigner who holds a temporary or permanent residence permit. (Ref. Art. 24 (1) 13 of the Foreigners in the Republic of Bulgaria Act). Family members are considered children, spouses, and parents. 10. Parent/Partner Type D visa can be granted to foreigners who are parents, partners (household assistants) of foreigners who have D-type visas under Art. 28 (5). (Ref. Art. 24 (1) 14 of the Foreigners in the Republic of Bulgaria Act). 11. Freelance Professionals Foreigners doing free-lance work may receive D-type visas subject to clearance by the Bulgarian Labour and Social Affairs Ministry. (Ref. Art. 24 (1) 15 of the Foreigners in the Republic of Bulgaria Act). Work permit (or a certified copy) issued by the Bulgarian Employment Agency at the Labour and Social Policy Ministry. 12. Foundations Foreigners wishing to perform not-for-profit activities may obtain D-type visas subject to clearance by the Bulgarian Ministry of Justice within the terms and conditions that have been set out in an ordinance of the justice minister in coordination with the interior minister. (Ref. Art. 24 (1) 16 of the Foreigners in the Republic of Bulgaria Act). A non-profit organization is registered with the Ministry of Justice. Permit issued by the Bulgarian Ministry of Justice (original or a certified copy) or a letter having the power of a certificate issued by the Denominations Agency at the Bulgarian Council of Ministers. Applications for a Type D visa are submitted personally at a Bulgarian embassy or consulate abroad. The embassy application fee for a Type D visa is EUR 100. 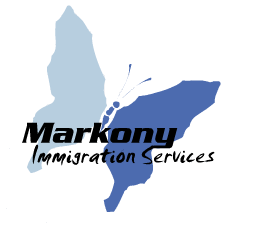 Please contact us for more information about Bulgarian Visas. The Bulgarian Type C visa allows foreign nationals to travel to Bulgaria on three purposes for up to 90 days: business, personal and tourist. The first two categories require either a business invitation or personal invitation letter. Andorra, Antigua and Barbuda, Argentina, Australia, Austria, Commonwealth of the Bahamas, Belgium, Brazil, Brunei, Canada, Chile, Costa Rica, Croatia, Cyprus, Czech Republic, Denmark, El Salvador, Estonia, Finland, France, Germany, Greece, Guatemala, Honduras, Hungary, Iceland, Ireland, Italy, Israel, Japan, Latvia, Liechtenstein, Lithuania, Luxembourg, Malaysia, Malta, Mexico, Monaco, Mauritius, Netherlands, New Zealand, Nicaragua, Norway, Panama, Poland, Portugal, Paraguay, Republic of Korea, Romania, Saint Kitts and Nevis, San Marino, Seychelles, Slovak Republic, Slovenia, Spain, Sweden, Switzerland, Singapore, UK (British Citizen Passport Holders and British Nationals/Overseas/ only), USA, Uruguay, the Vatican, Venezuela, SAR – China (Hong Kong, Macau). Assistance can be provided with the registration of a Bulgarian company and the issuance of a Bulgarian business invitation letter for obtainment of a short-stay Business visa valid for 90 days. The Bulgarian embassy processes all Type C visa applications within 10 working days. The embassy application fee for a Type C short-stay visa is EUR 60. Please contact us for more information about obtaining a Bulgarian short-stay visa.